Highly detailed 2-part heart at a price you will love. The front heart wall is detachable to reveal the chambers and valves inside. Heart just slightly smaller than life-size with exquisite anatomical detail throughout, including thymus. 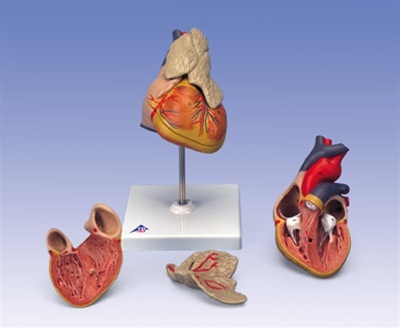 Great model of the anatomy of the human heart. Stand included with heart.